HydroComp NavCad, internationally recognized for resistance and propulsion prediction for naval architects, can also leverage analysis capabilities with features that support optimized hull form and propulsion system design. NavCad may be most well-known for its library of parametric-statistical hull form and propulsion system models (often called “1D” models). The recent introduction of the Premium Edition now brings a higher-order distributed-analytical (“2D”) hull form analysis to design optimization. Called the Analytical Distributed-Volume Method (ADVM), the scope of design optimization can now offer both a first order assessment and an analytical calculation of a more refined definition of hull form. NavCad’s parametric-statistical (“1D”) optimizing utilities specifically do not identify a singular optimum figure, but rather indicate trends and influences. 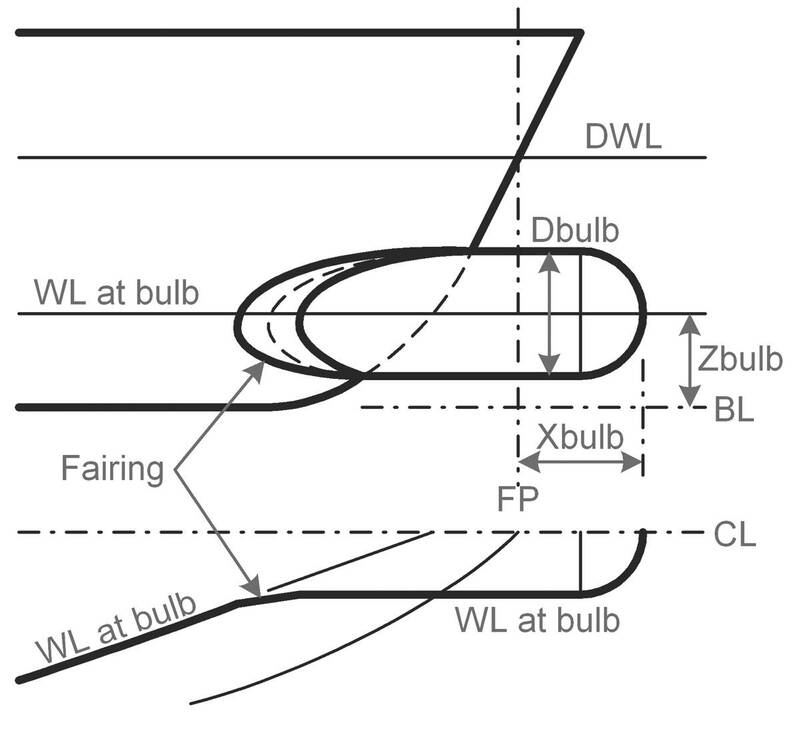 As many different design requirements influence a vessel’s design and construction, employing a unique hydrodynamic optimum is rarely attainable. The resistance curve for the initial design is the “basis” resistance. The Drag Reduction analysis then evaluates the influence on resistance of the change in various hull parameters – length, displacement, LCB, even transom immersion, for example. The hull parameters are then organized by influence, with the most significant parameter presented at the top of the table. It is also important to consider not only the hydrodynamic influences of the parameters at the design speed, but also across the operating speed range. For example, transom immersion may be beneficial at high speed, but detrimental at lower speeds. In order to consider the influences on overall operation, NavCad’s drag reduction analysis allows the user to enter primary and secondary operating profiles using speed and time-at-speed. A “Total energy” weighted influence is calculated based on these user-defined primary and secondary operating profiles. This total energy approach allows NavCad to evaluate the effect of a hull parameter on the change of overall energy consumption of the vessel. In a similar fashion, NavCad can evaluate the effect that vessel loading and initial trim can have on operational performance. NavCad’s Effect of initial trim utility provides useful information to designers and operators alike. In an effort to reduce fuel consumption, ship operators are often interested in the effect of initial trim on the performance of the vessel. This supplemental tool will provide an essential assessment of the effect of initial trim on bare-hull resistance for ships large and small. required no extensive training in the methodology. Due to its basis in the distribution of the immersed volume rather than its 3D wetted surface (such as is used by CFD), the definition of the hull is fully descriptive of significant shape characteristics for the purposes of optimized design. For example, where a parametric-statistical model may be limited by the nature of a parent hull form, the ADVM analysis allows any description of sectional area curve, waterplane distribution, transom immersion, entrance and run shapes. Extensive validation studies were conducted by HydroComp for the development of the ADVM module. It is both quantitatively reliable in the prediction of resistance and qualitatively functional for comparison of design variants. NavCad Premium includes features that allow the ADVM method to be run as a coupled solver, including a batch or macro scripting API for data and processes, and quiet mode operation without the GUI (server mode). NavCad can be coupled with third-party software such as Excel or Matlab, as well as optimizing-purposed tools like CAESES. The NavCad coupled solver process is simple and computationally very efficient. The use of NavCad for optimized design can be for the “whole system” or a “component”. Recent published studies of “whole system” optimized design with NavCad include an AUV, waterjet-driven patrol boat, and a motor yacht. A very successful “component” optimized design study was for a bulbous bow retrofit. A variety of optimized designs have been conducted using NavCad coupled with the CAESES software as the executive third-party tool for the management of the geometry and optimization processes. NavCad is the simulation solver responsible for all resistance and propulsion predictions. An AUV system optimization project highlighted a parametric-statistical optimization using NavCad’s Submarine/SWATH prediction methods. The hull was described as a body-of-revolution shape with three zones – fore, mid, and aft (as shown in the graphic below). The design objective was minimum shaft power, with NavCad conducting a component optimization of the propeller at each design step. An analysis of 64 variants was conducted in less than six minutes on a general-purpose business computer. Two surface vessel projects conducted with NavCad as a coupled solver were for a waterjet-driven patrol craft and a planing motor yacht. The patrol craft used the ADVM method for resistance prediction, with an equilibrium force-moment planing solution employed for the motor yacht study. The patrol craft reviewed more than 500 variants at less than two minutes per variant, optimizing for a minimum weighted resistance-weight ratio (Telfer coefficient). While NavCad’s strength is in its systems engineering solutions, it is also a very powerful analysis tool for hull form component optimization. NavCad was coupled with Excel for the optimized design of a bulbous bow retrofit on a research vessel. The ADVM distributed-analytical model was used for the calculation of resistance as the volumetric shape was modified with different bulb geometries. Microsoft Excel handled the creation of the modified data and the calculation management with NavCad operating in its quiet “server mode”. 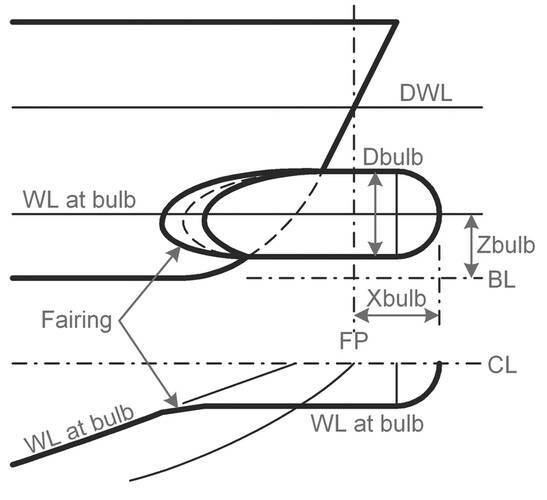 A weighted total energy objective was used to determine the best combination of design parameters for the new bulb – leading to substantial reduction in fuel rate and an increase in operational top speed.